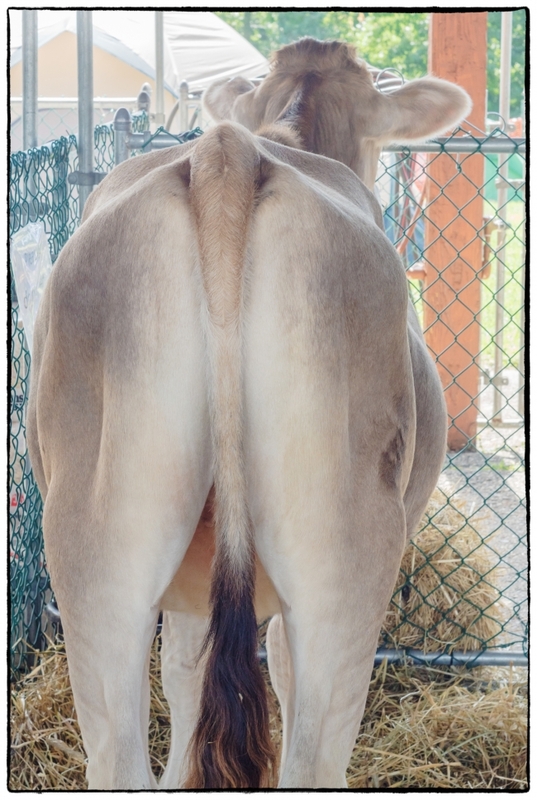 In the previous post (Putnam County 46th Annual 4-H Fair – Goats) I mentioned that I didn’t know much about goats. However, I do know a bit about cows. Cheshire, the county where I grew up is largely rural. 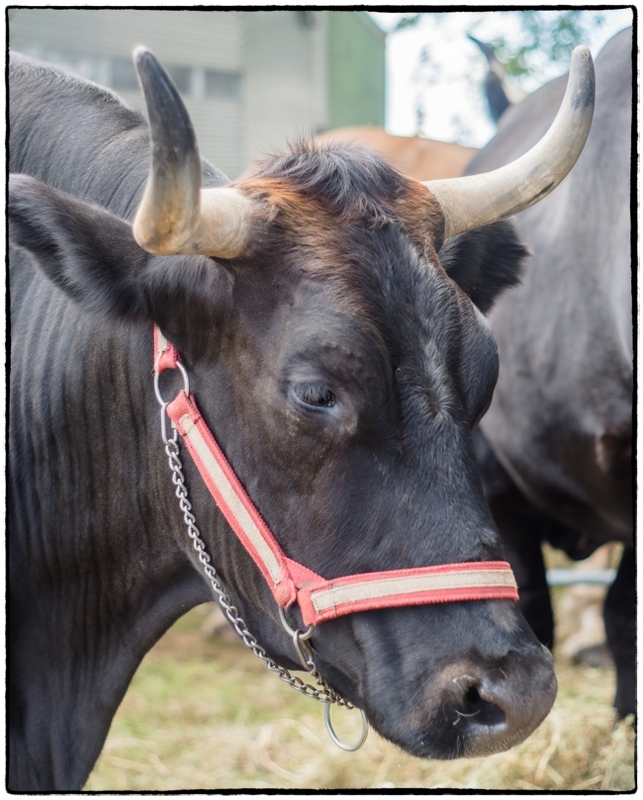 Agriculture is mostly based on the dairy trade, and cattle are the predominant livestock. My grandmother owned a farm and I’ve many times watching her milking (in some cases tying the rear legs of the cow so it wouldn’t kick). I’ve also assisted in birthing. Cows are generally docile creatures. I once went for a walk outside Bath with my son-in-law. We’d walked for some time and then descended a a long, and steep hill. We didn’t discover until we got to the bottom that the only exit was blocked by about 30-40 cows. It was either go back up the hill and try to find a way around or shoo the cows away. We chose the latter and the cows obligingly moved aside. Apparently cows are quite curious creatures too. A farmer once told me that if you went into a large field at one end with a group of cows at the other; lay down and fell asleep; when you woke up you’d be surrounded by cows – checking you out. I’ve never tried it out though, because cows are after all large animals and you wouldn’t want one stepping on you, or for that matter sitting on you. For all their docility cows can be aggressive, particularly if they have calves with them. In fact a November, 2015 article in the Independent newspaper declared: Cows officially the most deadly large animals in Britain. Although the title of this post refers to “Cows” I’m pretty sure that the animal above is an Ox. When I was young the town used to roast an ox in the town square every year. The roasted meat would then be put on sandwiches and sold to the public, the proceeds going to charity.